Legion Auxiliary and Veterans Service Office sponsor dinner, visit with Santa. 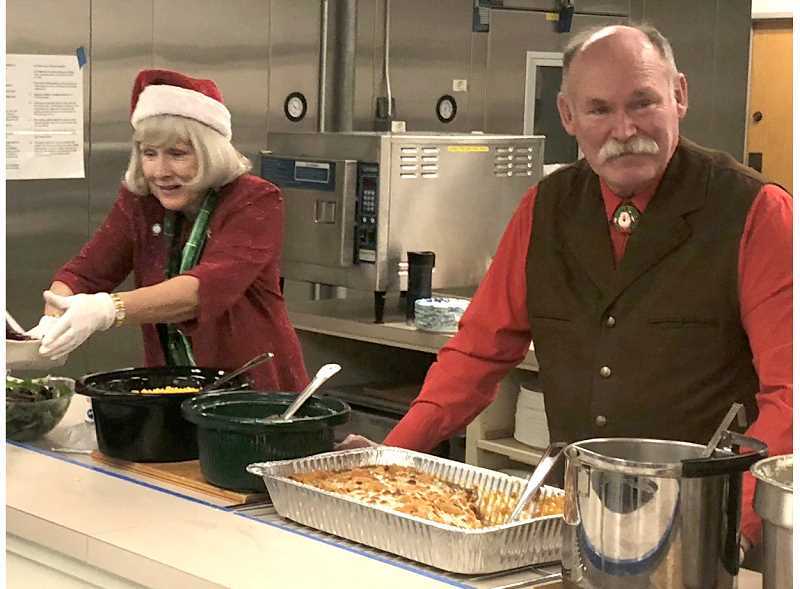 Veterans and their families attended a special Christmas Eve event at the Jefferson County Senior Center, sponsored by the American Legion Auxiliary Post 125 and the Jefferson County Veterans Service Office. Santa and his helpers, which included the American Legion Auxiliary and VFW of Madras, Wildhorse Harley Davidson, Oregon Veterans' Motorcycle Association, and BestCare Treatment Services provided food and toys. Jefferson County Commissioner Mae Huston and Jim Rahi served up the turkey, ham and all the trimmings, while Santa passed out toys that brought smiles to all the kids' faces. Music was provided by Cassia Dawn on the guitar, and Mike Williams on the flute.